My previous post discussed 10 tips that can help you with your family history research. If those 10 tips weren’t enough then I am back with 10 more tips again that will help you when breaking down a brick wall. Genealogy is a wonderful hobby, we can find out so much about our family as there is just so much information out there. The problem is though there are times when we cannot get past a certain point in our research because of these brick walls. After checking out this helpful collection of family history questions you may like to check out the website of genealogy expert Amy Johnson Crow. If you have encountered a road block during your research then her The Question You Need To Ask When You’re Stuck on Your Genealogy may just help you. Incidentally you may wish to watch the following video presented by resident genealogy expert Crista Cowan from Ancestry. In the video Crista outlines some quick tips that will help you to break down those brick walls. Getting a genealogy DNA test has never been easier these days. There are two options that are available to you. You can either visit a center where you can take a test, or you can purchase a DNA test and do it yourself at home. These kinds of tests can help you to break down your brick walls. They can show you where your ancestors may have originated from. Also, there are DNA surname studies which can also help pinpoint the location of your ancestors homeland. You may even be able to connect with distant cousins through this approach. If you are fortunate to connect with a relative then you will have the opportunity to share your family history research. With these tests you either take a swab of the inside of your mouth or a sample of your spit is taken. Results from these can take anywhere between 6 to 8 weeks. What are the best kits? The three major companies that offer DNA testing are 23andMe, AncestryDNA and FamilyTreeDNA. In my opinion though the latter company is the one to go for as they offer the most testing on your DNA. Each of these though do perform different kinds of testing on your DNA. 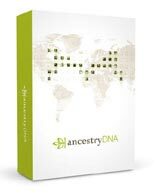 As if errors in family trees on Ancestry.com was bad enough you also have to accept that your ancestors may have lied on official records and documents. These family trees have to be treated with a pinch of salt and not as gospel. It is all well and good to find these trees and put everything from them into your own tree. But, you have to verify everything that you enter. The point is that you need to be careful when it comes to anything related to your ancestors. For example, compare your ancestor’s age on their marriage certificate with the registration of their birth. You may or may not be surprised that sometimes people do lie about their age. So, please do your research and check everything that you have found out about your ancestors before you enter it into your genealogy software program. Sometimes we cannot always get all the answers that we are looking from the computer. Although it does seem that everything these days is online this cannot be further from the truth. Offline sources may be your only salvage! Granted though that new information is being added to the Internet all the time. This information can mainly be found on the various genealogy search websites that are out there. However, you must be prepared to get out there to further your research. You can visit local libraries or major genealogy centers that are close to where your ancestors lived. These places will have records about your relatives that have yet to be put online. So, it is well worth visiting them to get the information that you are after. We cannot always get the information that we are after from either books or the Internet. Sometimes we need help from others. One of my tips from my previous post suggested that you asked your relatives for help for your research. A useful tip that you can follow is to also ask the locals within the area that you are researching. You may wish to door knock the home of your ancestors. You may be surprised as to what information that they may know. You could also ask local business near to where your ancestors lived. If it was a club or a social center then they may have known your relative and be able to share memories with you. Join a local history society in the area where your ancestor lived. They will have exceptional knowledge of the area and can give you details about what it was like for your ancestors in their time. They also publish books on the local area which may prove valuable to your research. You may even find your relatives listed in one of their publications. These societies also publish parish registers and other records so it is quite possible that you will find your ancestors. You can find out a considerable amount of information from historical newspapers. Similar to sites such as Ancestry, where you can find records about your ancestors, you can also find your family within articles from yesteryear. Sometimes we cannot find out details regarding our ancestors from the databases that are available to us. Records may have been lost, damaged or they may not have been transcribed and uploaded to the Internet. In the latter instance we could wait or push on and find out ancestors through newspaper research. Newspapers can give you new stories! Through researching local newspapers I have found out many pieces of information that I did not know. This resource has also helped me confirm certain facts. For example, I was able to find out the address of one of my ancestors. In the process I also read the story of how he rescued a woman from a canal. So, newspapers can help you break down brick walls. They can give you the clues that you were looking for. They can also give you interesting stories about your ancestors lives that you did not even know about. It can be a pain when we cannot find our ancestor within the records. We have probably found all the other censuses that our ancestor appeared in except for one that seems to be missing. This one census could be the key to details that are missing from our research. Your ancestor may have an obscure name which has been transcribed incorrectly. Or the reason maybe that their name is all too similar. However, there are other ways to find your ancestor without actually trying to find him or her. Wanting to discover it all! When I first started to trace my family history I was not only interested in finding my ancestors, but also their siblings and their descendants. This research practice that I had picked up would help me further on with my fact finding. When we get stuck trying to find our ancestor we could try to search for their spouse, sibling or children. For example, I was able to find one ancestor of mine by searching for one of my ancestor’s children. It turned out that my ancestor was living with his child. His name though was not transcribed from the records correctly, and so I could have missed him from my research if it were not for this useful tip. Worth looking at the bigger picture! When we begin tracing our family history sometimes we are just concerned about our paternal and maternal lines. Sometimes it is worth checking out distant relatives as they may hold the key to our research. After all, they also had some impact in the lives of our ancestors. There are many ways that we can get help from the experts and also fellow family historians. We could check out the local family history society as I have mentioned before, or find experts through social media, such as Facebook, Google Plus or Twitter. We can also get advice by checking out what webinars are available from the people within the genealogy field. These webinars will generally follow a certain theme of research. For example, DNA testing, searching search websites or how to correctly cite our records properly. Generally experts will feature in these video webinars. Demonstrations and examples will also appear on how to conduct your research and how you can break down brick walls that you may have encountered. There will usually be a Question and Answer session at the end of these webinars. This will be your opportunity to put forward your problem that the expert may help you with. If they are not able to help you on the spot then you can always pass on your details by email. If you don’t mind traveling and want to meet experts then you could always go to a genealogy conference. These are another great examples of getting the best advice possible whilst also mingling with your peers. How can a conference help? 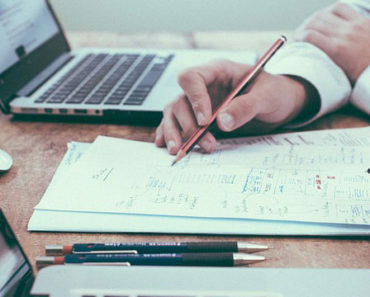 At these conferences you can find out what the best strategies and techniques that the experts use themselves. 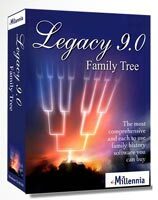 You may also learn what recent advances there have been within genealogy. For example, you may learn that there may be new ways to test your DNA or how you can get the best from your DNA results. These conferences are also another opportunity for you to meet fellow family historians. Not only can you learn from the experts but you can also learn a thing or two from people who have been researching their family history for years. If you have hit a brick wall in your research you may want to consider hiring a professional. After all they are qualified and have probably been researching genealogy for far longer than you have. Experts can do the work for you! They will know the techniques, tips, strategies, where to look for information and how to find it. If you are new to genealogy then you will not know the best approach to take when you encounter a brick wall. Even if you have not hit a brick wall you may also consider hiring a professional as you may not have the time to carry on your research. You still may want to find out about your family’s history but due to time constraints you may not be able to carry on this hobby. Either way though it is still worth considering this option. 20. Step Away From Your Research … For A Short While! Probably my best tip to help you solve brick walls is to just take a break from it for a while. I can understand the feeling that you will experience when you just cannot think and want to break down that stubborn brick wall. Everyone needs a rest once in a while! However, sometimes the best approach is just to take a break from it for a while. You may want to take a day off from it, a week, or even a couple of months. I have been in the same situation. I have wanted to do so much with my family history, and as you can imagine there is just so much history out there for you to find. However, it can get overwhelming at times, especially when you cannot progress any further. Coming back to it after a good length of time can help you think clearer. You will be surprised how much easier it will be for you when you return to your research. You will find new clues to your family’s history which were probably staring you right in the face. Written by ‘genealogy ninja‘ Thomas MacEntree has amassed 500 tips that can be found over 85 packed pages. Or alternatively you can search through the book. I hope you enjoyed these 10 more tips on breaking down a brick wall in your genealogy research. If you have any questions or comments then please leave a comment below.